This is a Sponsored post written by me on behalf of Manwich for SocialSpark. All opinions are 100% mine. I can vaguely remember the days when I had time to prepare and make homemade dinners, and even dessert. Who has time anymore? With play rehearsals/performances and homework (Wow! Who knew 6th graders had so much homework!) I just don’t have the time. I get tired of eating out, fast food, and pizza delivery, not to mention it gets pricey, so I want easy, tasty options. Thankfully there’s Manwich. I’ve shared my love of Manwich before but I always used it to make sandwiches. Don’t get me wrong, a good Manwich can’t be beat. Manwich is a hearty sauce with a sweet and tangy flavor that lends itself well in recipes. I really love that each can of Manwich is free of artificial flavors and preservatives. There is no meat in Manwich cans, so you can add lean ground beef or turkey, or keep it meatless. Perfect for sandwiches, pastas, chilis and more. Check out these Manwich Recipes for inspiration. I decided to try something different using a can of Extra Bold Manwich for one of our weeknight dinners. We love Mexican and Tex-Mex foods and especially nachos. 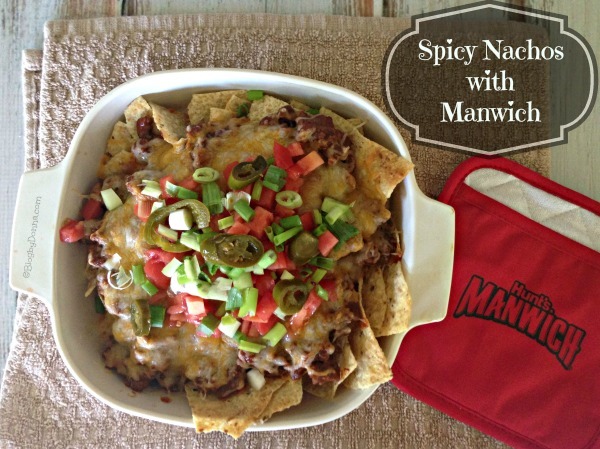 I never thought about using Manwich in nachos before, but I guarantee you, I’ll be using it more often. 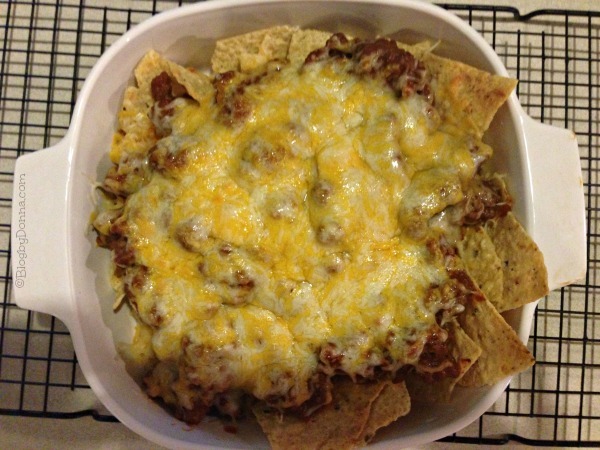 The nachos turned out delicious and hearty! Check out the recipe below and see for yourself…. Brown ground beef until done and drain. Add Manwich Bold and heat through. Place chips into a casserole dish and pour Manwich and hambuger mixture over the chips. Top with cheese and place in the oven on broil for 2-3 minutes (or until cheese is melted). Watch closely so it doesn’t burn. Remove from oven and top with tomatoes, green onions, and jalapenos. My family enjoyed the spicy nachos with Manwich immensely. Let’s just say that there were no leftovers. Manwich comes in three different canned sauce varieties – Manwich Original, Manwich Bold, and Manwich Thick & Chunky. 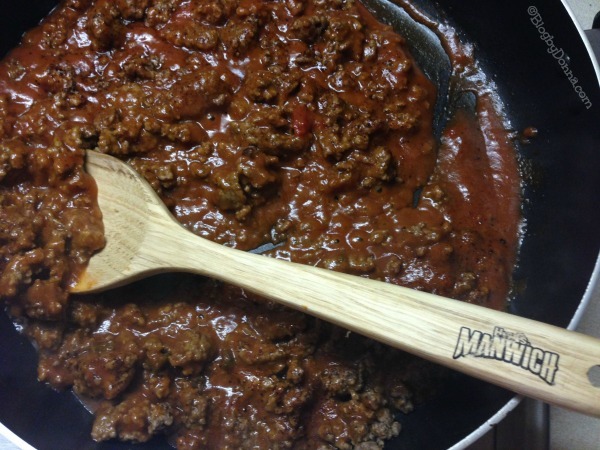 Check out for youself how Manwich can help you make Easy Weeknight Meals. Have you tried Manwich in your favorite weekday recipes? These look delicious! I never thought of using Manwich any other way than on a sandwich, but this looks so good! I usually use taco seasoning packets but I’m going to have to try this! Looks delish! Man, this looks good. I love spicy food. I would probably enjoy the bod, the nachos looks great! That looks amazing. I bet my husband could even do this for himself! 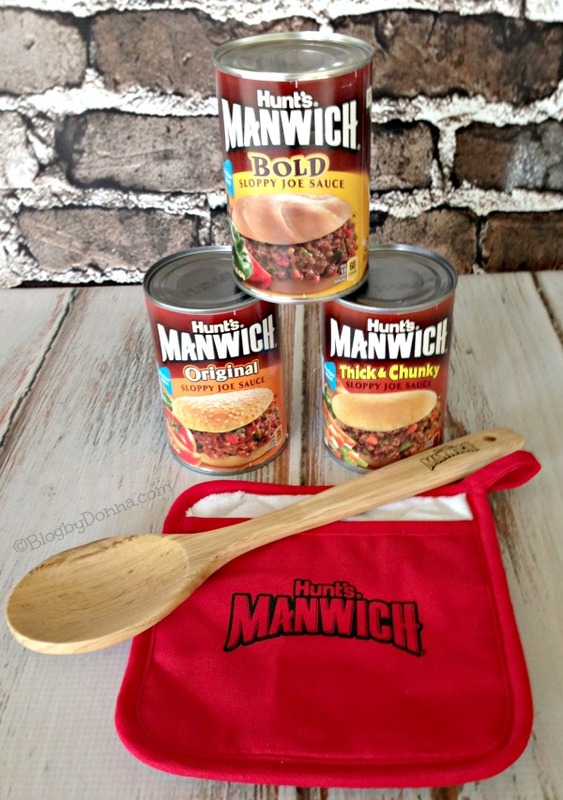 Can you believe I’ve never used Manwich before? After seeing these nachos I think I have to remedy that! You are so creative! Will try! Now that is the way to eat Manwich! YUM!! I am totally gonna try this next time we eat it! We normally cook up fries then top with Manwich and shredded cheese. That looks like a great way to eat Manwich. I had never thought of using it in nachos either. I must try it! I’ve never thought of this! Mostly our nachos don’t have meat at all but this looks delicious. What a great way to enjoy Manwich! That looks delish. 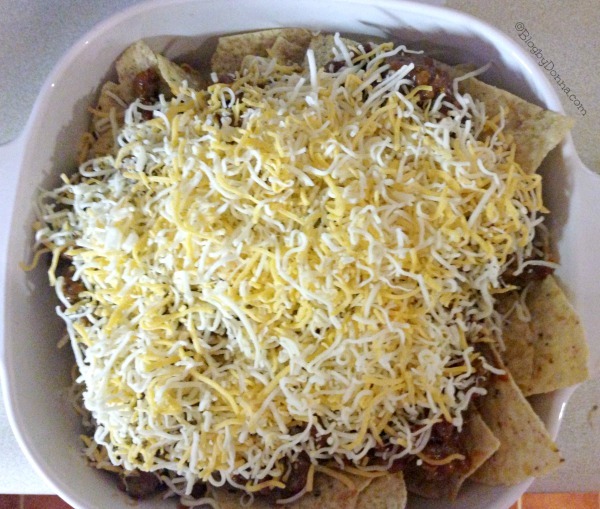 Nachos are always a big hit in my house! I’ve actually never tried Manwich, but that looks yummy! Ooh yummy! This looks great! You know, I actually loath Manwhich because of it’s taste in sloppy joes, but this recipes sounds delicious. I never knew it came in different sauce flavors…it kind of makes me more willing to try it. I can’t imagine an easier way to make nachos, too! I have never tried Manwich, but I know my husband would love something like this! He loves nachos. I come from a really big family, so dinners growing up had to be easy to prepare in large servings & not too expensive. We ate Manwich quite often because it met both of those criteria, plus it is yummy! I use Manwich all the time, but never thought to do anything beyond sloppy joes. Oh the possibilities! Thanks, had this for dinner tonight. I didn’t know if I would like it with Manwich, but it turned out really nice. The men in my life love nachos and always appreciate a little bit of added heat. This looks absolutely delicious and perfect for game day! Thank you for sharing this recipe with us. I didn’t even think about doing this with Manwich. I will have to try this since it is so easy. These look delicious! We love Manwich at our house. This would be a great alternative. I have not tried Manwich in my favorite weekday recipe yet. I can’t wait to try the Spicy Nachos with Manwich recipe listed above. Thank you for sharing this post. 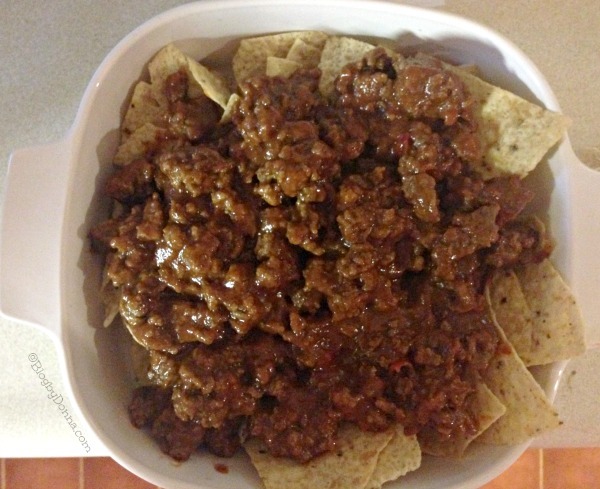 Spicy Nachos with Manwich will definitely try. This looks so yummy! I’d love to try some spicy nachos. I’m going to have to try this with some baked beans instead. Spicy food is my fave! Can’t wait. This looks good & i’m gonna try to fix it this coming week. these look delicious. I never thought of using Manwich before. I will be trying this.